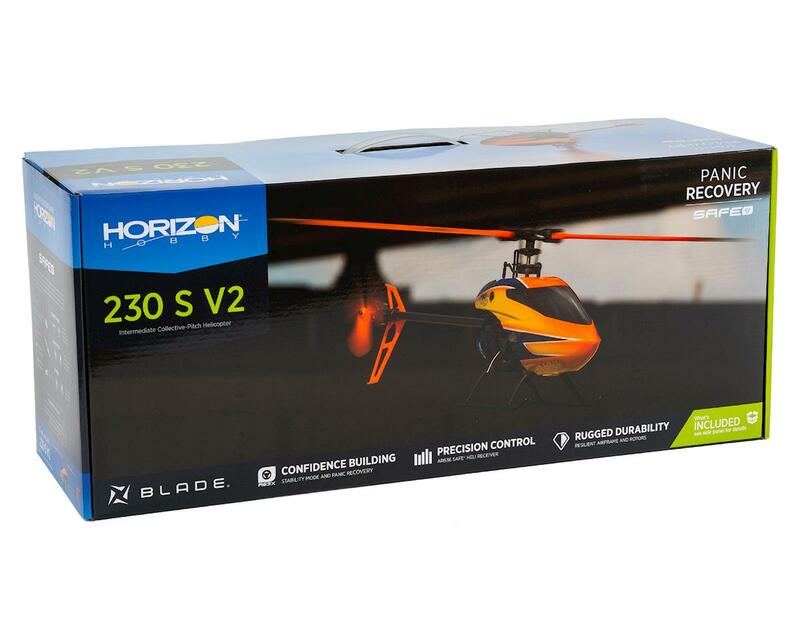 The Blade 230 S V2 RTF Flybarless Electric Collective Pitch Helicopter is a perfect choice for anyone looking to hone their skills on a collective pitch machine. Building off the widely popular platform, this updated version adds key improvements geared at growing pilot skills. The redesigned ESC gives even more impressive flight stability and heading hold, creating a clean, confidence inspiring flight experience. Additionally, the tuned Spektrum AR636 with aluminum bottom case and improved damping makes this heli feel like a completely different machine in the air. Engineered around the abilities of innovative SAFE technology, its progressive flight mode system makes flying a collective pitch heli more comfortable, even if it’s your first collective pitch helicopter. A reinforced frame and main gear along with metal gear servos and ABS main blades can survive the learning curve and add confidence. The flight and strength improvements make this a blast to fly in your local park or backyard. SAFE Technology: Innovative SAFE Technology makes it easy for anyone to fly helicopters with confidence. 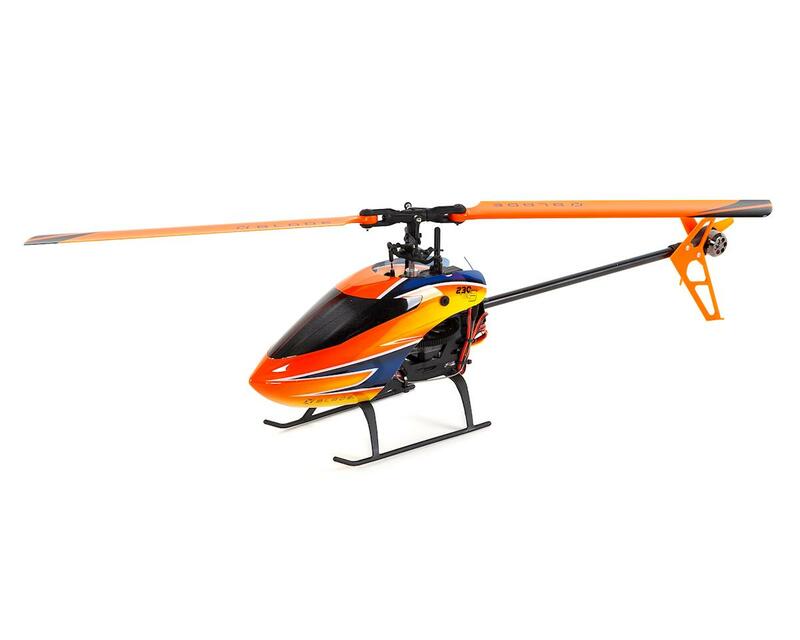 Flight modes from self-leveling to full 3D allow you to grow your skills with this helicopter, from beginner & intermediate, to advanced maneuvers. Stability Mode - Limited flight envelope with self-leveling a bank angle limit. Agility Mode - Full control for sport aerobatics with no bank angle limit. 3D Mode - Turns up the flip and roll rate for 3D capability. Panic Recovery: Quickly return to level flight with the press of a button should you lose orientation, or get into an uncomfortable situation. 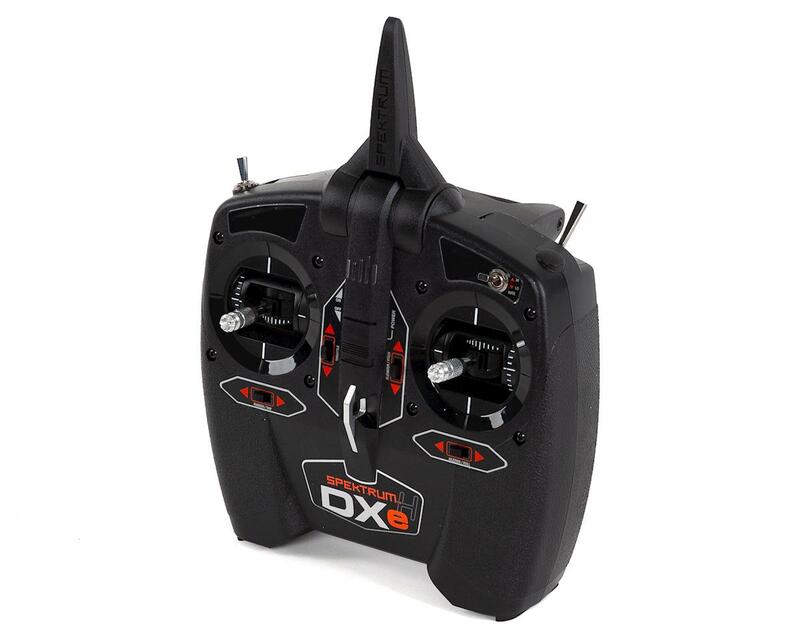 Updated ESC: Refined ESC delivers vastly improved performance, reliability, and tail hold. Updated Main Gear: More robust main gear provides greater durability in the event of a crash. 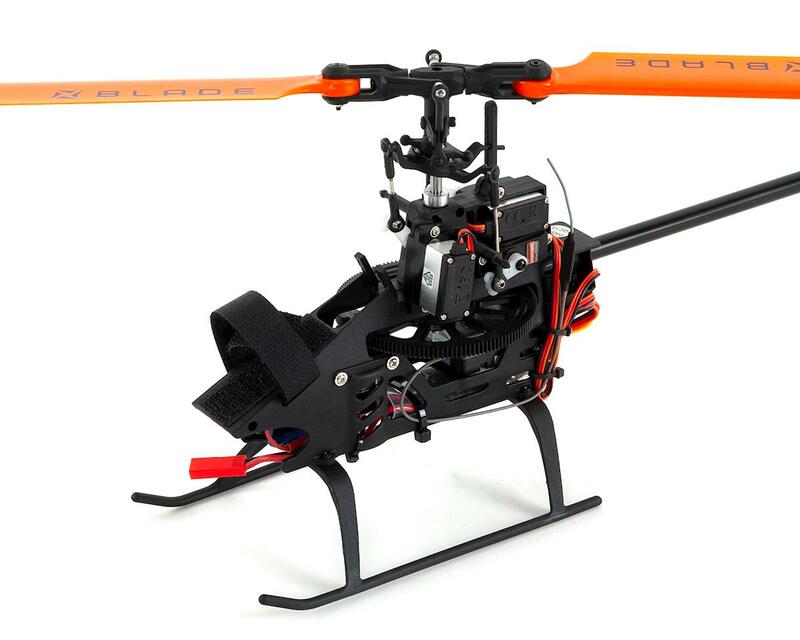 Metal Gear Cyclic Servos: Durable, digital high speed servos offer precise, high-performance control that every heli pilot craves. Collective Pitch Rotor System: The collective pitch rotor mechanics of the 230 S have been engineered to give you just the right level of maneuverability for learning aerobatics and inverted flight. 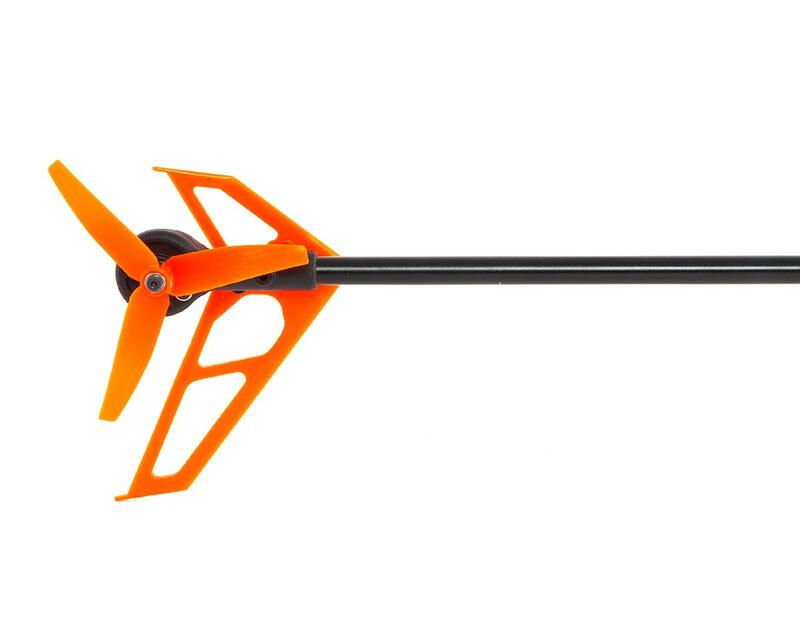 Durable: Impact-resistant ABS main blades and newly reinforced tough composite airframe and tail rotor. 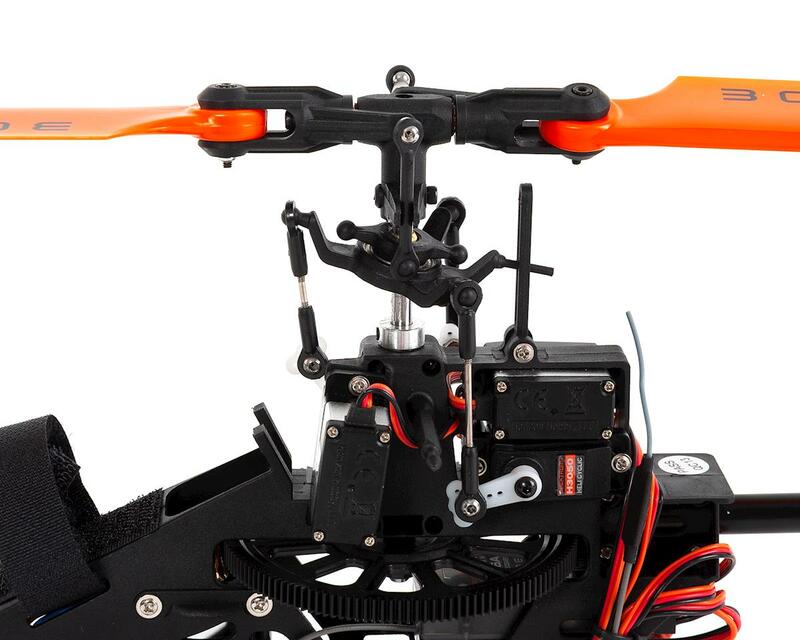 Brushless Motors: The high-speed brushless main and tail motors work together to deliver a simplified drive system that makes the 230 S V2 light weight and responsive. High Visibility: Vivid canopy and bright main blades and tail make it easy to maintain orientation. 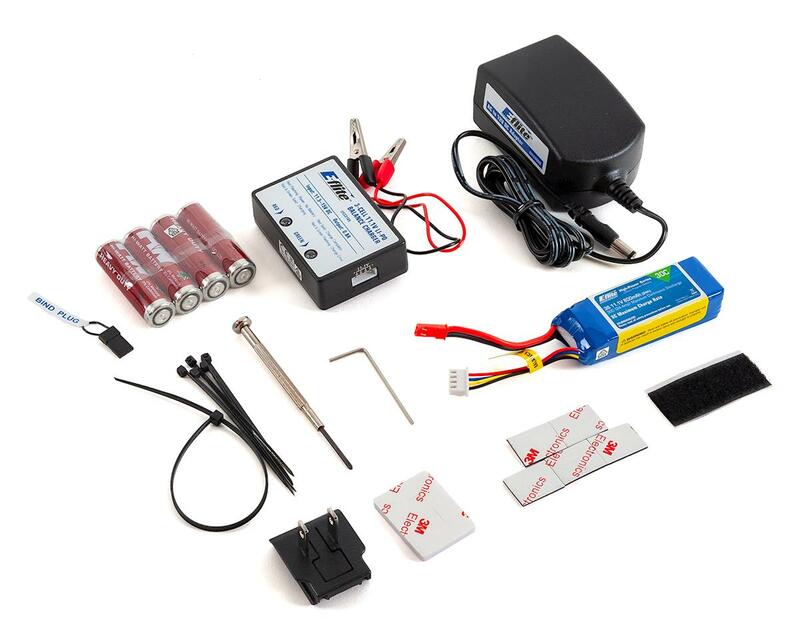 Everything Included: Spektrum DXe transmitter, E-flite 3S 800mAh battery, AC/DC LiPo battery charger, and AA batteries included all in one box. Nothing! Everything you need is included in the box.